What can a PVC fence do for your home? So, you’re thinking of investing in a new fence. It’s time to start thinking about what kind of fence you’re going to get. Consider the PVC fence. It offers a lot of amazing qualities that sets it apart from the other types of fencing, making it a very solid choice. So, would you like to learn more about PVC fencing to help you make your decision? Let’s take a look at the facts. A PVC fence is great for people on the go. The modern age is a hectic one. We’re always running from one event to the next without pausing to take a breath, or maintain a fence. 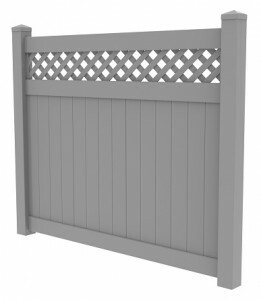 When you need something that only requires a quick wash now and again to keep its luster, you need a PVC fence. The most you need to do is rinse your fence with some soapy water when you see it’s getting a little tarnished. Beyond that, there is little else you will ever need to do to keep your fence looking its best. A PVC fence is strong. PVC is about five times as strong as wood, making it one of the most durable fencing options available. When you live in an area with a lot of intense weather conditions, you may want to put PVC at the top of your list. PVC can weather harsh storms, plenty of rain, and winds that could knock down other types of fencing. So, when you need the strength of Hercules for your fence, choose PVC fencing. Call on us when you think you need a new fence and we can get you started! This entry was posted on Friday, July 15th, 2016 at 3:51 pm. Both comments and pings are currently closed.